Standing under the news-making conjunction of Venus and Jupiter in the night sky this past February, I realize, once again, the frogs are early. So were the tiny, native blossoms covering the hillside under my feet. These traditional heralds of spring are childhood friends who usually lift my spirits out of winter’s chill, but another balmy winter in Southeastern Virginia blurs the frost and planting dates, as well as my emotions on welcoming my old friends. The next day I hike through the woods with my son to his new fort, built in a hundred-year-old oak blown down by one of last fall’s hurricanes—more evidence of climate change, as warming ocean temperatures are brewing increasingly powerful storms. On my walk through the woods, I am observant and open. This forest, I know, is the real model of life I wish to emulate in my garden during this early-arriving spring: a perfectly balanced, self-regulating ecosystem that effortlessly grows food and provides shelter for its inhabitants. As my son and I step through the forest’s edge and back onto the cleared pastureland of our small farm, we also step into an uncomfortable truth: farming isn’t natural. It is meaningful that the word humility’s root is humus, the Latin for soil. Anyone who has worked with the soil of this Earth for very long will find herself humbled by its profound ability to rebirth life from the seemingly dead matter of a compost pile into living plants, season after season. It is those few steps from inside the forest to an intensely, mechanically cleared, tilled, planted and harvested piece of Earth that reveals the truth about farming…and more important, our own consciousness. The impact of the industrial approach and its nutrientempty produce makes daily headlines and inspires a growing wave of home gardeners, locavores and food activists. 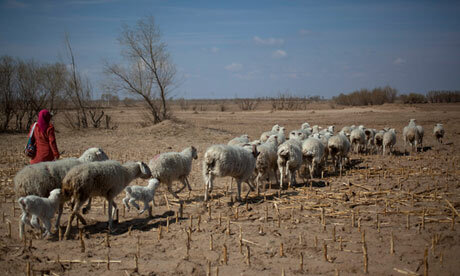 While this shift towards a more sustainable food system is great, is it enough? Or do efforts need to be made to restore and heal the Earth? How will we heal the Earth without healing our own consciousness and the disconnect that destroyed the living soil and created superweeds and chemically toxic rivers in the first place? Is there an approach to working in partnership with living forces of the Earth that humbly concedes the act of growing food on a large scale isn’t “natural” at all, but can be done in a way that elevates our own consciousness while increasing the health and vitality of the Earth? I believe the answer is yes. When we moved to this little farm, I admit that my husband and I had some romantic notions about homesteading, inspired by the cute little red barn and tree swing by the frog pond. But ten years later, we wholeheartedly agree with relationship guru Harville Hendrix, who says “romance” is the anesthesia that gets you into position to do your personal work…and onto your soul’s path. After burning through our romantic ideations on many levels in 24 years of marriage, we are here to tell anyone who listens that farming and marriage are both doorways to a rewarding place of deep relationship and soul adventures…if you hang in there through the waking-up process! This shared experience with other Virginia growers was not uncommon. In fact, it was acknowledged among a few of us that the unnerving and escalating consumer demand couldn’t really be about that perfect slicing heirloom tomato. Could it? Something is being overlooked in the burgeoning number of farmer’s markets, natural grocers and big box stores, whose increasing demand for organic produce has so outstripped the number of local organic farmers that we now import “organic” produce from China. Nowhere in this current scenario does the word “sustainable” apply. Nowhere. Even the local, sustainable farms that do exist in the United States are up against a billion-dollar, fast-food industrial agriculture system funded by government subsidies and propped up by immigrant worker wages and slave labor (read the book The Nobodies by John Bowe for more on slavery in the United States). What an exceptional opportunity this could be in the coming years, if substantial and ongoing federal funding is committed to creating a new generation of farmers. Just as my family was lured into a relationship with the Earth through romantic notions, I am sure many others will be, as well. While it took years of exploring a variety of sustainable farming practices before we finally hit upon one that included our own consciousness as a part of the health and healing of ourselves and the Earth, we are impressed with the high quality of food and relationship with the Earth that Biodynamics produces. With a truly sustainable and holistic approach, Biodynamics seeks to reconcile the split in the human as well as the few discernible inches between the self-sustaining forest and farmland. Biodynamics began when German farmers—at the height of the agricultural crisis brought about by new chemical fertilizers in the early 20th century—became concerned about the decreasing fertility in their soil and increasingly diseased cattle. The farmers turned to Austrian philosopher and scientist Rudolf Steiner for help. Steiner, initially an editor of the scientific works of Johann Wolfgang von Goethe, integrated his disciplined scientific mind with his spiritually gifted clairvoyance to found Anthroposophy—the philosophy of spiritual science that led to Waldorf education, the movement art form of eurythmy, and valuable contributions to medicine, architecture, drama and poetry. Only after being intensely persuaded for many years, the story goes, Steiner finally answered the German farmers’ requests for help. In his series of eight lectures, entitled The Agriculture Course, presented less than a year before his death in 1925, Steiner provided a new science of cosmic influences that would reorient the farmers and enable them to grasp his recommendations for creating the nine preparations and a cosmically influenced planting and harvesting calendar. In his sixth lecture, Steiner pointed out that when we look at something through a microscope, our focus blocks out the rest of the universe. The more we concentrate on the microscope, the more we block the macrocosm. A retired naval commander, Courtney founded JPI in 1985 on a 100-acre cattle farm in Woolwine, Virginia, to carry on the lifelong work of Josephine Porter, who created Biodynamic preparations for three decades in the U.S. The institute hosts international groups throughout the year and teaches hands-on the creation of the Biodynamic preparations, which Courtney says has made him a “heretic” in some circles. “The Biodynamic movement is growing, but we are still young, probably in our kindergarten phase,” shared Courtney. sustainability of the system, the nine Biodynamic preparations can be made on-farm with naturally occurring plant and animal materials combined in specific recipes in certain seasons of the year. The concentrated forces within the preparations are used to organize the chaotic elements within the compost piles, and sprayed directly onto the soil and plants. When the process is complete, the resulting preparations are medicines for the Earth that draw new life forces from the cosmos. Effects of the preparations have been verified scientifically. Only about 42 to 84 years’ worth of topsoil remains worldwide. Current agricultural practices destroy approximately 6 pounds of soil for each pound of food produced. Conventional agricultural practices deplete the soil 18 to 80 times more rapidly than nature can build it. Even organic farming depletes the soil 17 to 70 times faster than nature builds it by importing organic matter and minerals from other soils, which thereby become increasingly depleted. 57 million tons of topsoil is lost every day. In the past 100 years, one-third of the topsoil of American farms has been lost. With the current international attention on climatechange issues, including the extensive planetary damage of agribusiness and the industrialization of organic agriculture, Fullmer says, “It is now that Biodynamics is starting to come into reality, and we have to get ready. Humanity is only evolving, and I think we are evolving to the point where we can grasp this stuff: that we are not the center of the universe and that the planets and stars, that all of it is interconnected. Biodynamics predates the “organic” movement— named and popularized in the 1940s by publisher J.I. Rodale in the United States. Today, “‘organic’ is now dead as a meaningful synonym for the highest quality food,” states Eliot Coleman, author of The New Organic Grower, who blames the industrialization of the organic movement on its inability to stay true to its origins. According to the Demeter Association, in day-to-day practice, Biodynamic farming involves managing a farm as an individual and living organism. A concise model of a living organism ideal would be a wilderness forest. In such a system, there is a high degree of self-sufficiency in all of the realms of biological survival. Fertility and food arise out of the recycling of the organic material the system generates. Avoidance of pests is based on biological vigor and its intrinsic biological and genetic diversity. Water is efficiently cycled through the system. “While agriculture immediately takes nature to a state that is one step removed from wilderness, the wisdom of humanity that steers its course can, to a large degree, mimic these ancient principles of sustainability, based on a careful observation of nature as a whole,” states the Demeter website. 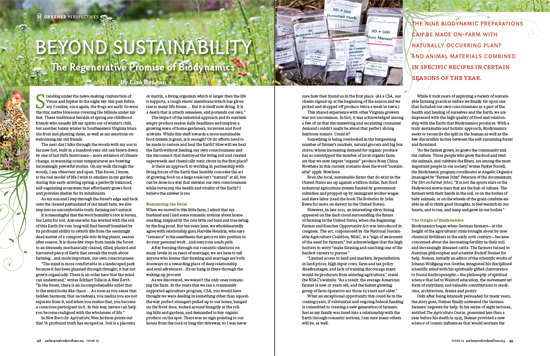 Sherry Wildfeuer, editor of the Stella Natura Biodynamic Agriculture Planting Guide and Calendar, poses this question and answers, “Organic agriculture rightly wants to halt the devastation caused by humans; however, organic agriculture has no cure for the ailing Earth. From this the following question arises: What was the original source of vitality, and is it available now? 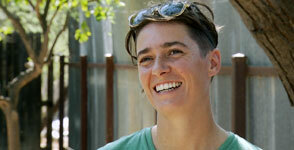 Fullmer and Courtney both agree that if “those who have ears to hear” will do so in the coming years of planetwide shifting, Biodynamics could provide the missing, integrating context that would allow humanity to tote the industrial agriculture model, and the disconnected human consciousness that spawned it, to the cosmic compost pile. It is there, beyond our microcosmic view of the Earth and romantic ideas of farming, that we will find new seeds of sustainability. 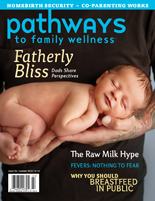 This article appeared in Pathways to Family Wellness magazine, Issue #34. Eugenio Gras es uno de los históricos de la agricultura regenerativa. -¿Qué es la agricultura regenerativa y cuál es su objetivo?